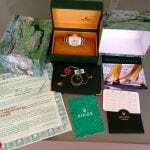 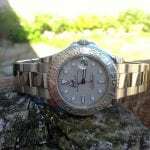 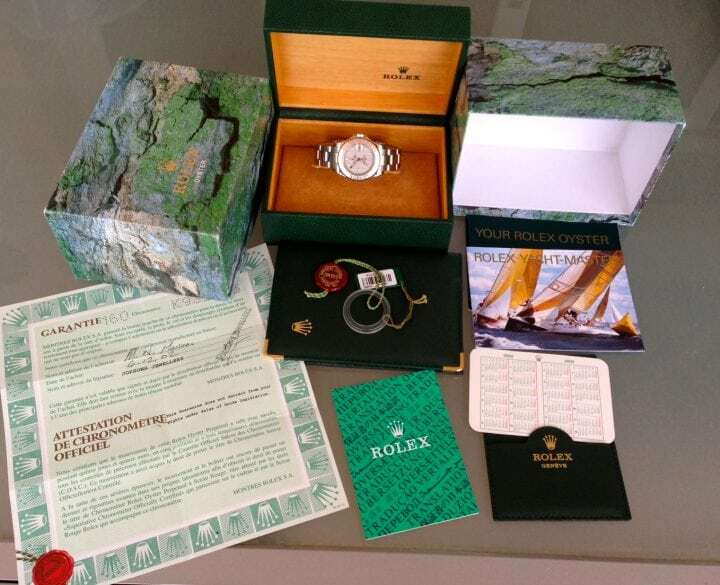 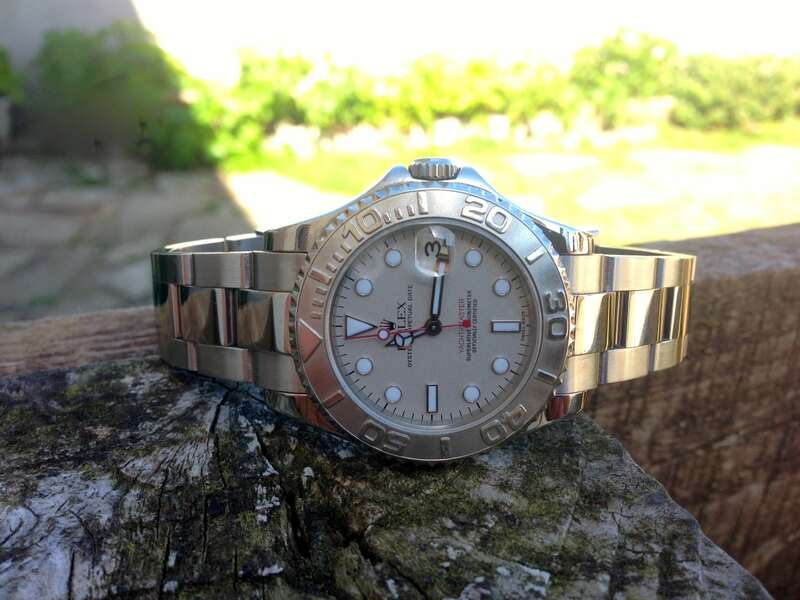 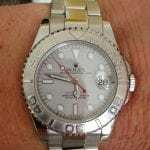 Rolex only make one sports watch available in a mid-size,35mm,and thats the yacht master !! 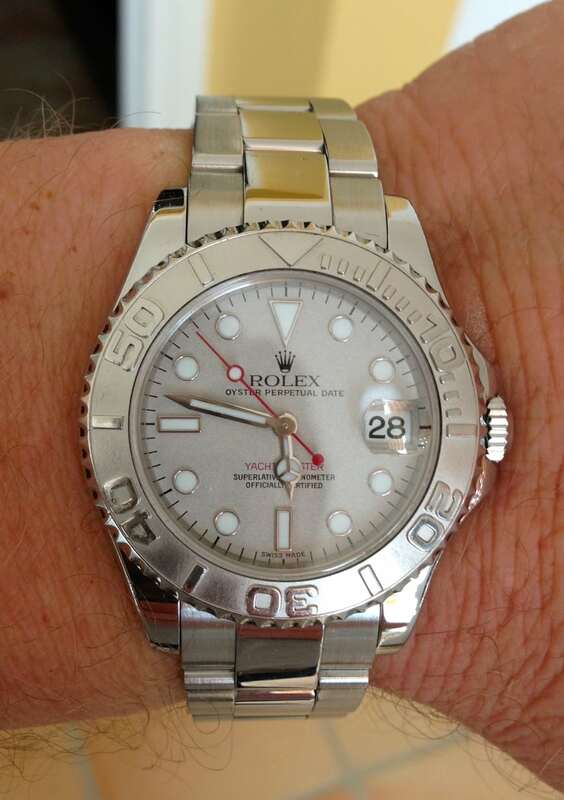 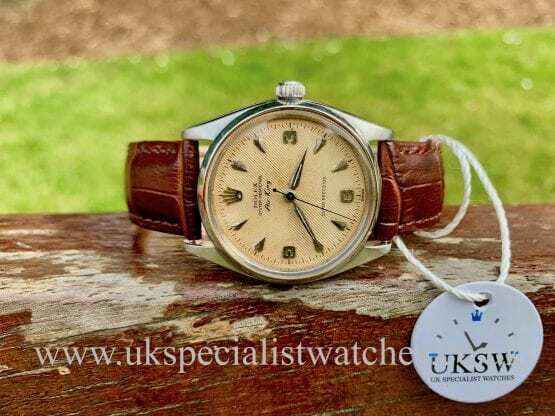 Remember a full size gents day date is only 1 mm larger at 36mm!! 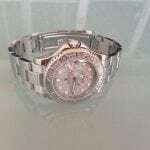 our YachtMaster has a solid stainless steel case with a( 950) platinum bezel and silver dial, (the star like hour hand ). 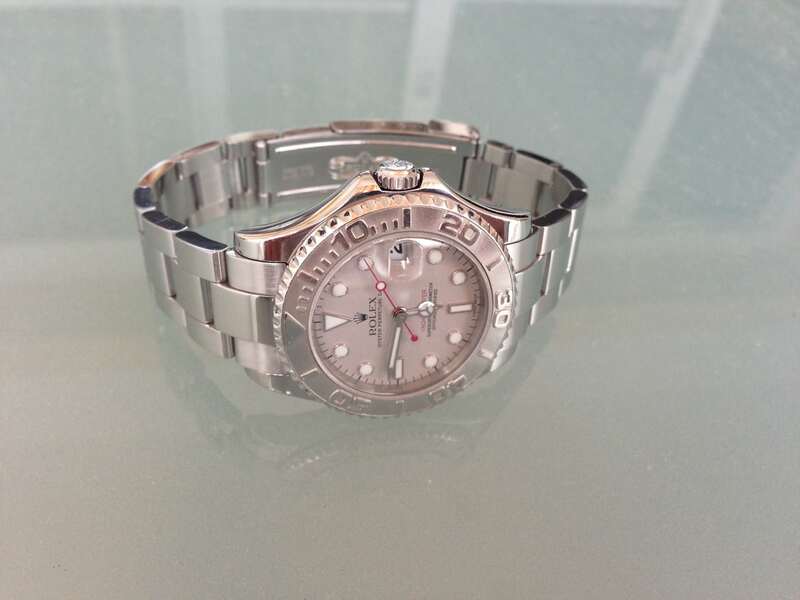 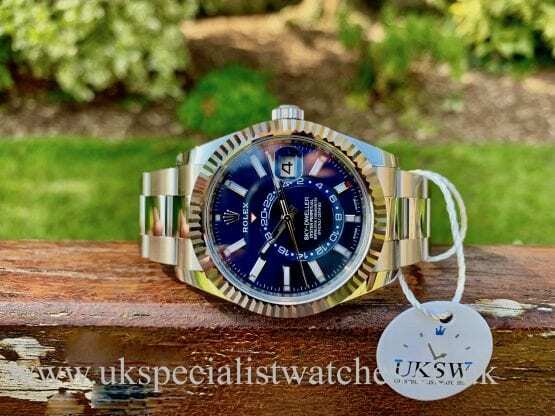 The Flip-Lock clasp keeps the watch very secure, chronometer automatic movement,water resistant to 100m.one owner watch supplied in nov 2002 at banks & lyon in UK complete all papers,guarantee certificate, swing tag, ect.